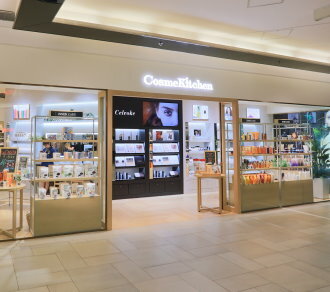 Cosme Kitchen is founded in 2010, selecting natural and organic skincare, cosmetic, aroma, herb tea and other organic product from all over the world. Persisting products of natural and organic ingredients produced by certificated organic producer, we share the happiness and vitality of “natural and organic”. You can find this pleasure of organic care in Cosme Kitchen.